The city of Puebla, Mexico is nestled in the middle of the country in the shadow of two volcanoes, Popocatepetl and Iztaccihuatl. It’s an old and beautiful city with baroque buildings like Our Lady of the Immaculate Conception Cathedral dating back to the early 16th century. It takes pride in its delicious regional cuisine, and its mole, chiles en nogada and chalupas are considered the best in the world. Resort info: The Puebla Marriott Hotel is the place to be, located in the heart of Pueblas business area and only 10 minutes from the historic, gastronomic and entertainment district. Resort info: Come See Mexico's Best from Our Hotel in Puebla The Holiday Inn® Puebla Finsa hotel is situated along the México-Puebla Highway. 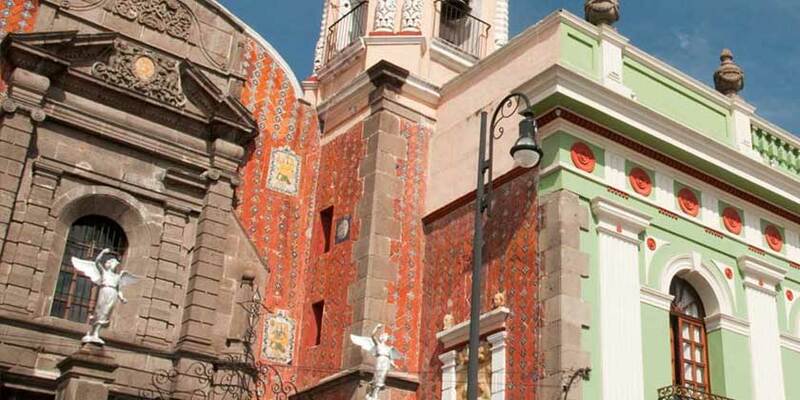 Resort info: Explore the Heart of Puebla from Our Hotel Every step you take is surrounded by history and excitement. Resort info: Courtyard by Marriott Puebla Las Animas Hotel makes all your travels successful by providing exactly what you need - spacious, thoughtful guest rooms, a hot breakfast buffet and more. Resort info: Stay in contemporary luxury at this Puebla hotel with stunning views of the volcano. Exquisite details include the beautifully designed bar and lounge, outdoor pool and 11 smartly appointed meeting facilities.